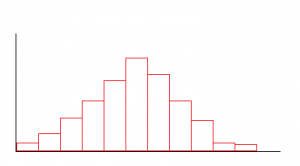 In describing a histogram, there are three main factors to take into account: the shape, the centre, and the spread. 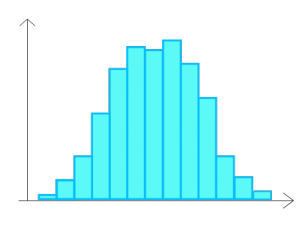 The shape of a histogram can indicate whether there is a tendency for some data values to occur more than others, or not. A graph’s symmetry can be described as being approximately symmetrical, positively skewed, or negatively skewed. These are usually bell shaped or normally distributed. 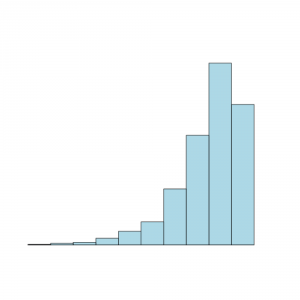 The mean of the data is usually equated to the median. Symmetrical distributions can also take in the form of two different peaks. In the case where there are two distinct peaks that are symmetrical about the dip, the distribution is referred to as being bimodal. 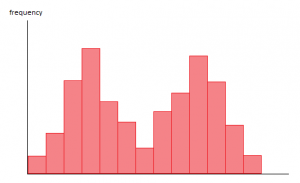 These graphs usually have the lowest values having the highest frequencies. 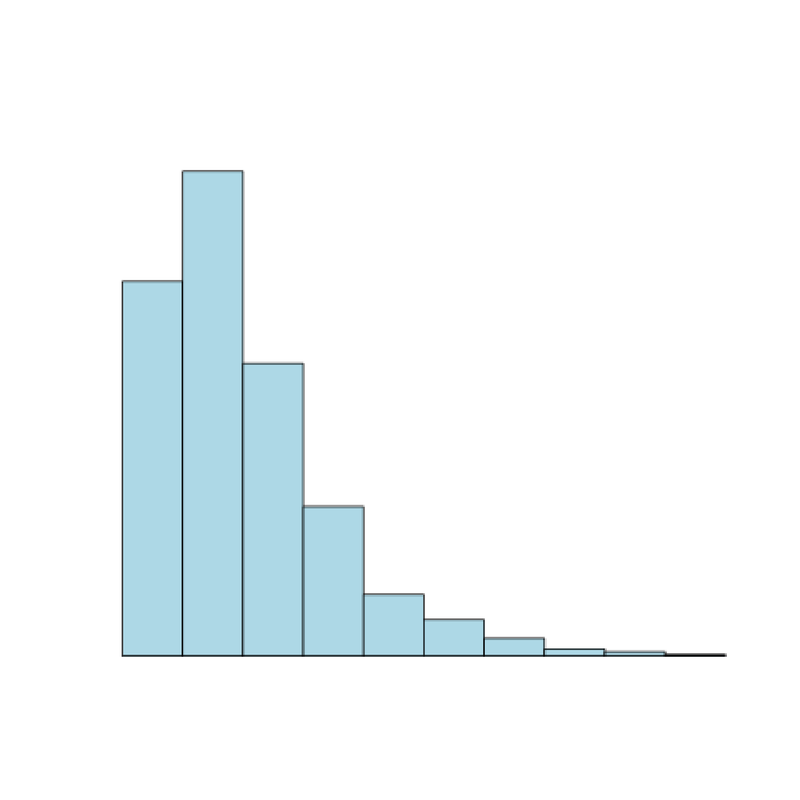 In this case the mean will be greater than the median. Negatively skewed data values have their highest data values with the highest frequency. Generally, the mean will be less than median in these data sets. 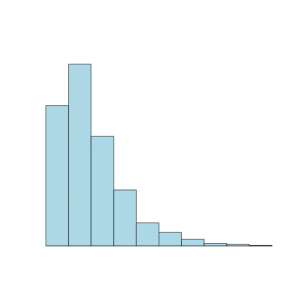 There are three measures of centre that can be used to describe a histogram. 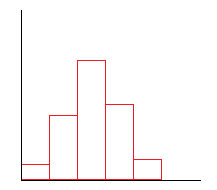 They are the mean, median and mode, which can be inferred from a labelled histogram. A distribution’s spread can be used to compare two distributions. The spread of the distribution is referred to as the maximum range of the distribution. 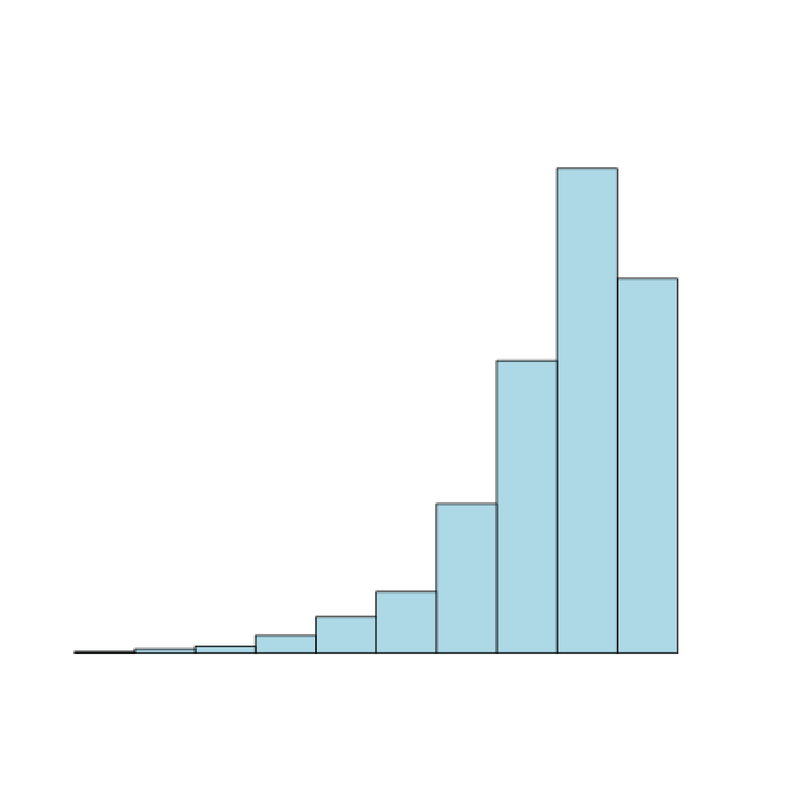 The histogram below can be described as having a broad peak, or a wide spread. 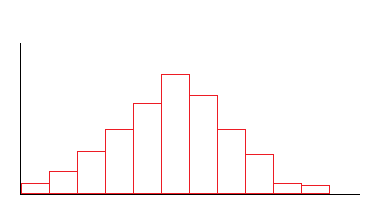 On the contrary, the histogram above can be described as having a narrow peak.